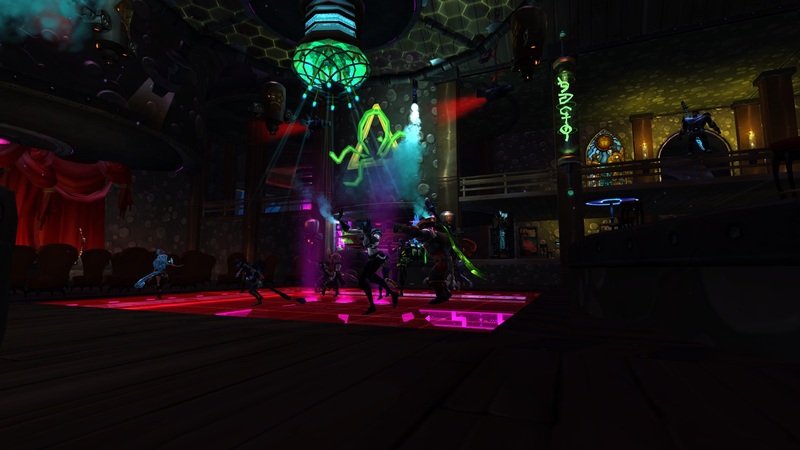 I had a productive evening in WildStar last night, even though I didn’t do many of my usual activities. My server was quite laggy, so combat was difficult. It felt very strange experiencing launch day woes like over-taxed servers for a game I’ve been playing steadily for over a year. On the flip side, I am thrilled to see all the excitement about the game on social media right now, and crowded servers mean lots of people eager to play. I trust the devs to sort out the technical issues. Looking pretty good for only using vendor dyes! Unfortunately the lag was bad enough that after getting bronze on one vet shiphand expedition (and dying a lot) I decided to do more peaceful activities. I poked around at my house for a while, then decided to get a status update on some of my alts. It turns out that several of them were wearing mostly crafted gear. This meant that they were now wandering around partially naked at best, and at worst, well, take a look at my Granok lady here. At least she still has her boots. So I spent the rest of the night at the crafting station and in the holo-wardrobe, trying to make things right. 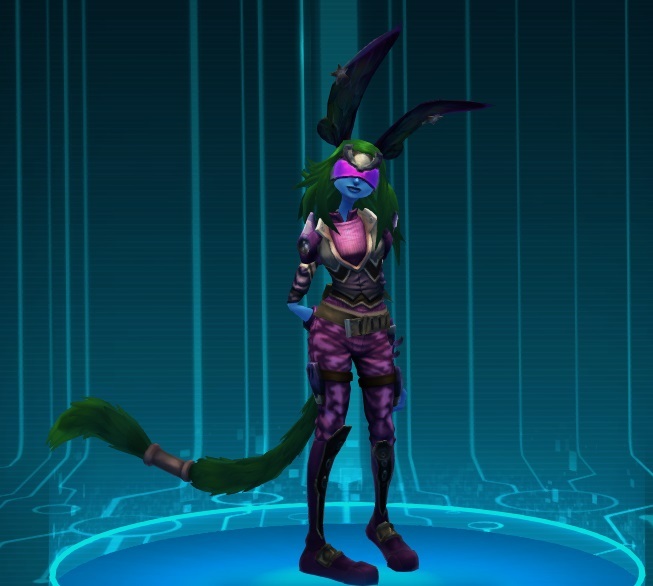 My Aurin turned out cute at least. The Granok lady? Still a work in progress. 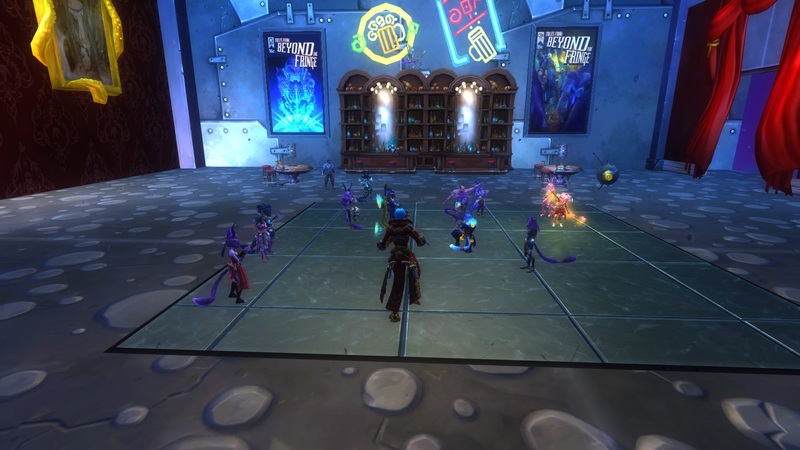 Last night I dutifully logged into the WildStar stream to join in the fun and hype in the last hours before launch. My plan was to hang out until the cinematic was revealed, then head to bed. Yes, it is kinda sad, but being an adult is often sad. However, one of the giveaways on the stream turned out to be a chance to access the game an hour early. I and 999 other folks from the Twitch chat were able to log in and beat the rush. I ended up using that hour mostly to claim all the goodies I had unlocked, and to get all my rune tokens out of the mail. Not the most exciting thing, but it needed to be done. Plus I got to run around in the crawler mount pictured above an hour early. Totally worth it. Instead of going to bed like an adult, I ended up playing not just for my bonus hour, but another whole hour after the actual launch time. There were definitely some rocky patches to this launch. Once the servers were truly opened the lag got quite bad at times. While expected, that was still disappointing. Worse though, was the bug that caused some guilds to completely disappear. Folks who logged in planning to chat with friends and guildies all night found themselves suddenly alone. That was being addressed in an emergency maintenance as I was getting ready to leave this morning, so no WildStar for me until I get home from work! Hopefully they get all the bugs sorted. The WildStar hype is real right now and I want it to translate into tons of new players, not internet rants about a rough launch. I know I’ll be eager to hop back in after work. Hopefully coffee and excitement can compensate for my lack of sleep until then! Less than 24 hours until WildStar goes Free to Play! If you’re reading this on September 28, the patch is now available for download! I’ve been mostly avoiding WildStar for the past week or two. I tried to get my affairs in order as much as I could, and once the market board was shut down I figured that was a good sign that I could step away and refresh. This way I will be at maximum hype levels when the patch hits and the world changes. The last time our little world got upended this much was for the Megaserver merger. This screenie is from the night before the merge. (Shoutout to all my Evindra friends!) Coincidentally, it was also the night where I got recruited into my current guild. The party last night was fittingly even bigger than that one. Which makes sense since we’re welcoming a ton of great new updates instead of saying goodbye to our server. I’m feeling similar nervousness about this big change though. We’re about to be the center of attention for a while. Soon tons more people will be running around checking out this awesome game. I’m hoping that the trolls move along quickly, and that the game ends up getting a huge boost. 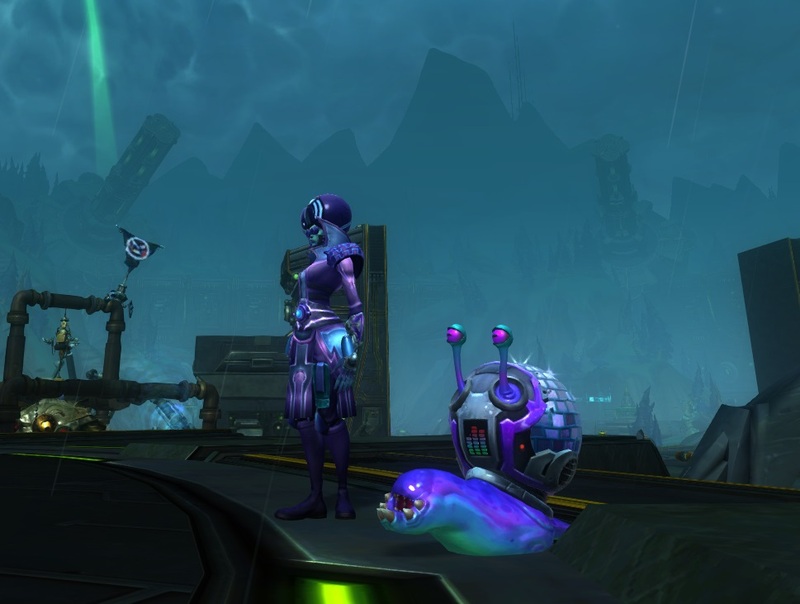 WildStar is my main MMO, and I’m looking forward to being able to share my love with even more people. I know a bunch of my friends who tried it and left are planning to come check it out again and I can’t wait to play with them after months of absence. No matter what happens, I’m excited as hell. See you on Nexus, cupcakes. This past weekend I did something so embarrassing I’m amazed I worked up the courage to even post about it here. The evening started out innocently enough, drinking wine and watching old childhood favorite movies. When the movies were done and I had a mighty buzz going, I sat myself in front of the computer and was faced with the gaming funk I’ve been in lately. Lots of new things are coming down the line, but they aren’t here now and I’ve really been struggling with getting motivated to play any of my staple games. What have I done? Curse you, delicious booze! So in my drunken wisdom, in a scenario lamented by many other folks who have drunk-dialed that embarrassing ex, my brain decided to pay for a month of WoW time. Hilariously, I had uninstalled the game when I last “quit,” and so was only able to start the download that night. The following morning I woke up and soberly realized what I had done. And you know what? I’m ok with it. Yes it was a very silly thing to do, but sometimes when we’re drunk and nostalgic we seek out the things that used to make us happy. Unfortunately, reality rarely holds up to the lens of nostalgia. I decided to roll a brand new alt, and since even drunk me had the wisdom of applying the game time to my 2nd account I had no heirlooms or anything to help me out. I love the familiarity of the game, and it has aged very well, but it still has noticeably aged. I instantly missed the smooth, snappy graphics and combat of WildStar. Soon, when I got high enough level to run dungeons, I missed the dungeon and encounter design of FFXIV. Also, the community is exactly like I remembered. The best runs were the ones where nobody said a word. The worst were abusive, some verbally, and one special group kept attempting to boot the healer because they were new and struggling. At least I had the moral victory of blocking the vote kicks. My plan is to focus on the good bits and not sweat the crappier parts. It makes sense to just enjoy this trip down memory lane, and it is certainly true that there is something deeply comforting about the familiar embrace of leveling in WoW. 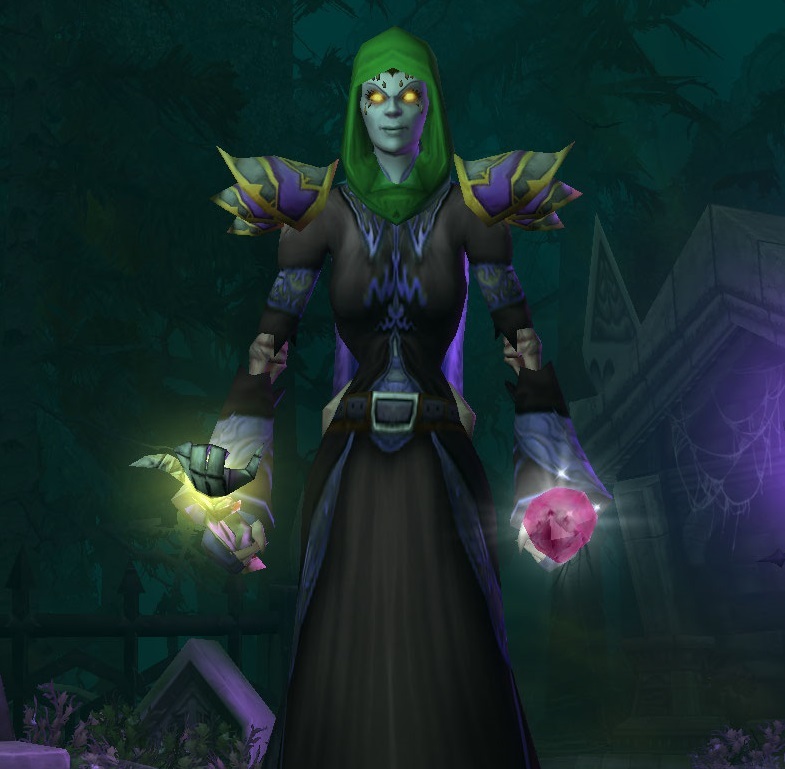 The new baby alt is a mage, and I’m glad because it keeps me far away from the mental stress of healing or tanking for group content. I am hoping to see some of the new stuff that’s been added since my last visit, even if that means I need to switch over to my high level character instead of this baby alt. But when the month is up, I don’t see myself sticking around. Nostalgia is nice but sometimes it is nicer to be reminded how good things are right now. I have been filling the time before the next WildStar drop by dabbling in some other games. The one that has suddenly taken up the bulk of my play time the past few days is SubNautica. This game is in Steam early access right now. Usually I avoid games that aren’t released yet, but this one seemed perfect for me, is pretty far along, and seems to be getting regular updates, so I went for it. 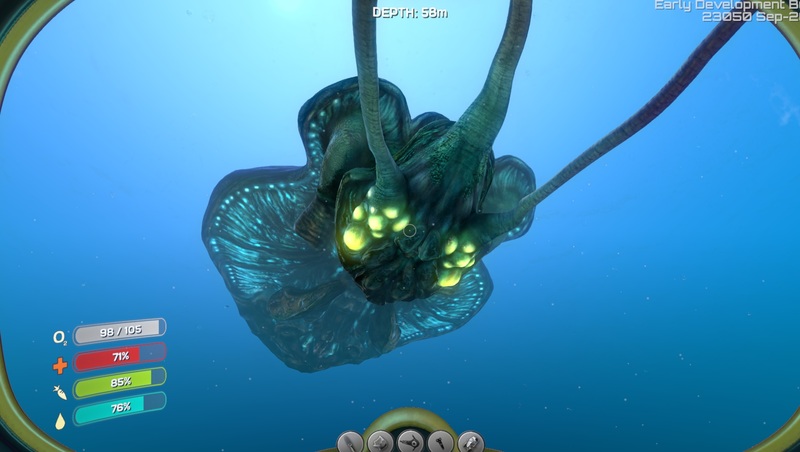 SubNautica is a survival/exploration game, with the premise that you’ve crash landed on a water planet and need to manage your food, water, and oxygen while you explore. You start out with just a life pod and a few supplies, but eventually you can craft your own sea base and submarines. Nighttime in the depths is very dark but also pretty. The game is supposedly made to work with the Occulus Rift and I bet that would be amazing. The views are beautiful and the motion of swimming and piloting the various watercraft just feels right. I’m not sure how much there will be to do since the game isn’t finished, but I’ve put about 12 hours into it so far and haven’t found the edge of the world or even all the different types of resources or biomes yet. 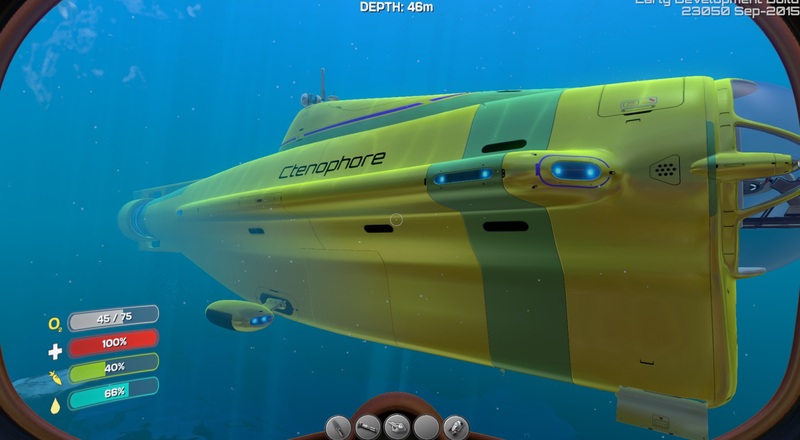 I did finally manage to build the large “Cyclops” submarine, and spent a silly amount of time exploring it and driving it around. Yes I named my sub after a bioluminescent sea creature. Who wouldn’t? 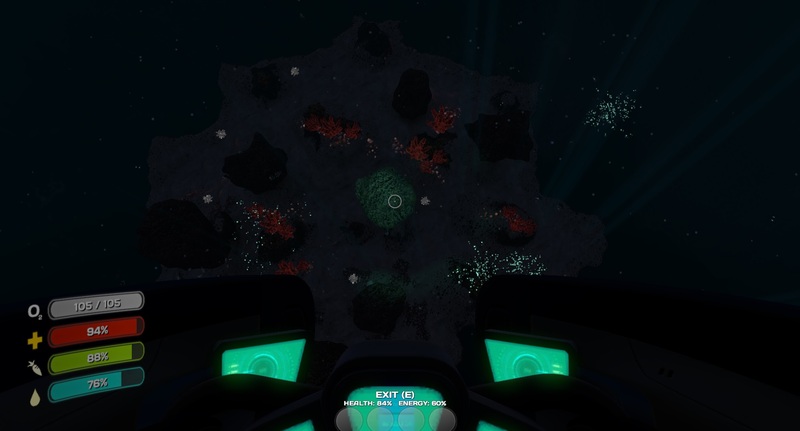 If you don’t mind taking a chance on an early access game and want to explore an alien ocean and get murdered by alien sea life, you should definitely check it out! After the mad rush of Blaugust, I’ve been taking a lot of time to decompress and refresh my mental batteries. One of the great things I’ve experienced by engaging with Twitter is that I know I’m not alone in my introverted ways. Sometimes it is reassuring to know your stresses and anxieties are shared and feel like you’re part of something, and that there are people who will totally understand when you need to hide away for a little while. My default hiding game lately has been Diablo 3, but all the time I’ve been spending there has presented a problem: my enthusiasm has attracted friends to join me. When I’m feeling well, this is great! I’ve had a ton of fun wandering around smiting demons with 1 – 3 friends at a time. The down side is when I need to be alone, those folks are still in my BNet friends list, asking me to join them. I’ve found that having one or two friends or family members is usually fine, especially when they’re folks who understand when I need to hide. More than that and I start to get anxious whenever I’m not up for company. This has stressed me out in the past, so much so that I occasionally purge everyone from my friends list and start from scratch once in a while. I love that Steam has an invisible mode, and I dearly wish that Blizzard would do the same. In WildStar I have a few account friends, but for some reason it doesn’t stress me out quite as much. I think it helps that there’s no rewards for being constantly grouped up like there are in D3. The other big thing of course is that WildStar is just one game, and I barely play any alts. If people know and friend my main character, they can pretty much find me 95% of the time I’m in-game anyway. BNet friends can see you in any of Blizzard’s games, though, which means I can’t even sneak in a quick game of Hearthstone without everyone on my friends list knowing about it. Anyway, being pushed back into WildStar right now feels fine by me. I can’t wait for the doldrums to pass and the new Drop to land in a few weeks. I might as well spend the time remembering how things are and saving up a nest egg to spend on fancy new toys. Plus I still have too many alts that need to be leveled off the arkship so they don’t get deleted! If you haven’t been following closely, you might have missed that the WildStar F2P launch date has finally been announced. 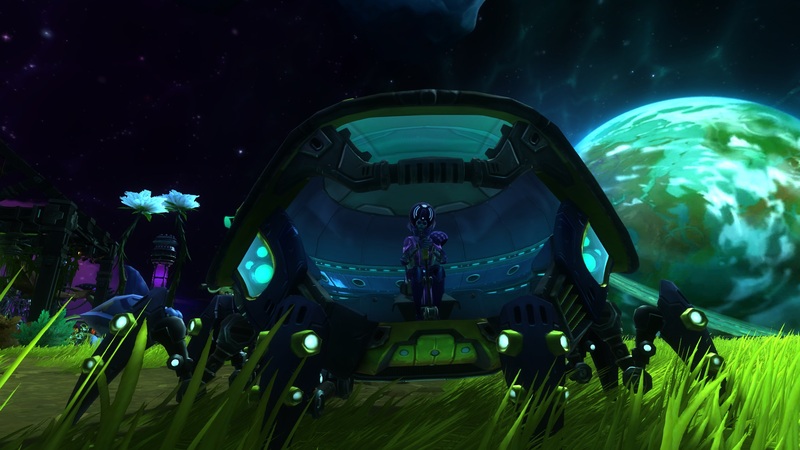 On September 29, the WildStar: Reloaded drop will land and tons of changes will be heading our way! I strongly encourage anyone who is interested to grab a beta key and hop into the beta to check it out. There’s lots to get excited about and I can’t wait for it all to finally go live! There is one catch, though. Yesterday on the livestream something pretty important got casually mentioned that bears repeating. On 9/29 when the drop happens, any characters remaining on the Arkship (the initial tutorial area) will be WIPED. From what they said, it sounds like since the entire tutorial experience is being redone they need to clear everything out of the arkships. And I suspect it is also a way of cleaning up after some folks (like me!) who had way more than the “allowed” allotment of alts due to the megaserver merger. In any case, if you have any low-level alts hanging around on the Arkship, take a few minutes to move them through the tutorial and down to the planet or risk losing them for good.